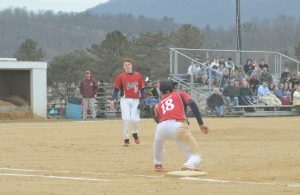 LEWISTOWN – Mifflin County made the best of some bad situations Saturday afternoon when the Huskies, on the back of six Central Dauphin　errors to take a commanding 8-4 Mid-Penn Commonwealth division victory. 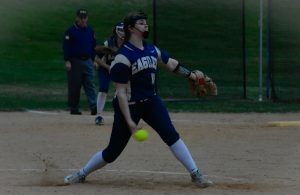 Mifflin county’s Heath Hidlay picked up the victory striking out eight in six innings of work. Teammate Isiah Kearns finished off the game from the mound by working an almost flawless two innings. John Michael Maclay led the offensive charge by plastering a three-run home run that went deep over the centerfield fence. The Rams started the scoring off early in the first inning, plating one. Lead off hitter Colby Schearer took a Hidlay offering and blasted it to right centerfield. Two batters later, Jake Atz grounded into a fielders choice which allowed Schearer to score from third. Mifflin county bounced back in the bottom of the second thanks to a little bit of two out lightning. Kyle Bodtorf　led　things off with a single to left. Hidlay followed reaching on the first of the rams errors. On the error, Bodtorf advanced all the way to third base. A second error by central dauphin allowed both Bodtorf and Hidlay to easily score, taking the lead at 2-1. The home team almost picked up another run in the third thanks to a Kearns double. But he was stranded on base. After holding the Rams scoreless in the third Mifflin County found itself trailing by one run going in its half of the fourth. Nate Dickey got the visitors going posting a double to left field. 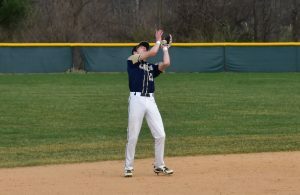 Teammate Tony Zimmerman followed in his teammates footsteps as he roped a double of his own, scoring Dickey on the play. Zimmerman later scored on a sacrifice fly by Dan Oates, giving the Rams back the lead at 3-2. However, the wheels came off the Rams’ wagon as the Huskies rallied for a five- run inning, highlighted by the Maclay bomb to centerfield, making it 7-3. In the inning, the Ram’ miscues added up deflating any kind of Central Dauphin rally. Though the Rams picked up a late run to get it as close as 7-4, Mifflin County added a run of their own to go to the 8-4 victory. With the win, Mifflin County improves to 3-1 on the season.